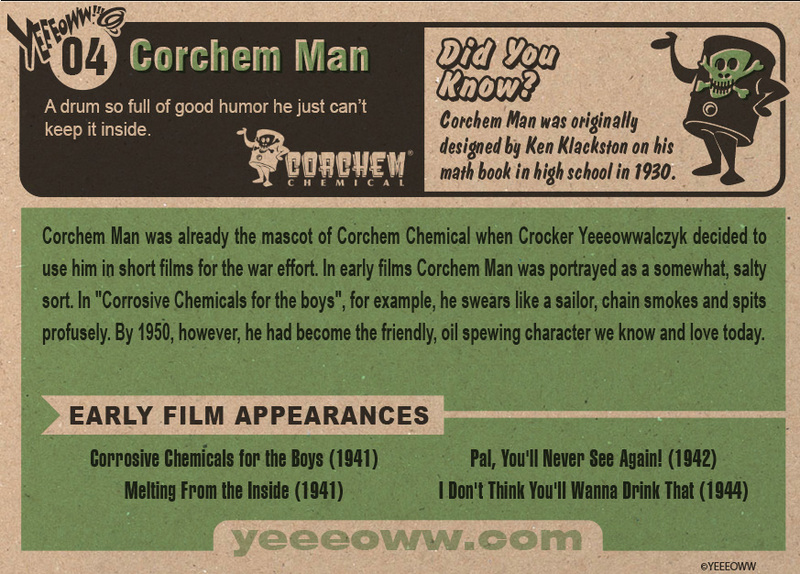 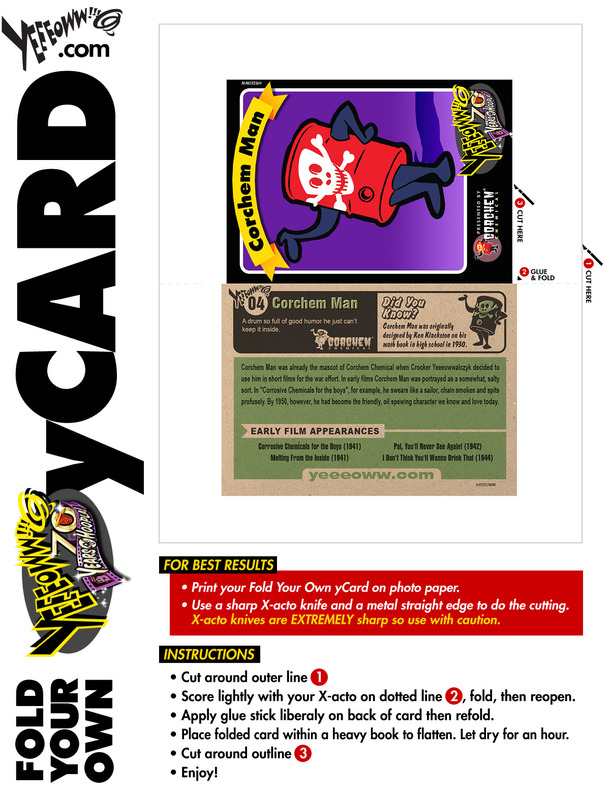 Corchem Man was designed in 1935 by Kenneth "Corrosive Ken" Klackston as a promotional mascot for Corchem Chemical. 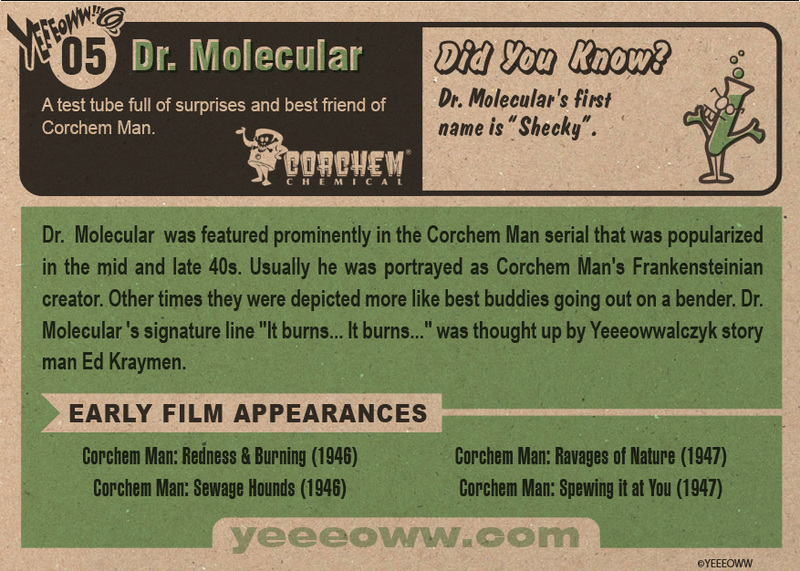 In February of 1939 Crocker Yeeeowwalczyk proposed using Corchem Man in a series of promotional, educational animated short films that could be licensed to the US government to entertain troops. 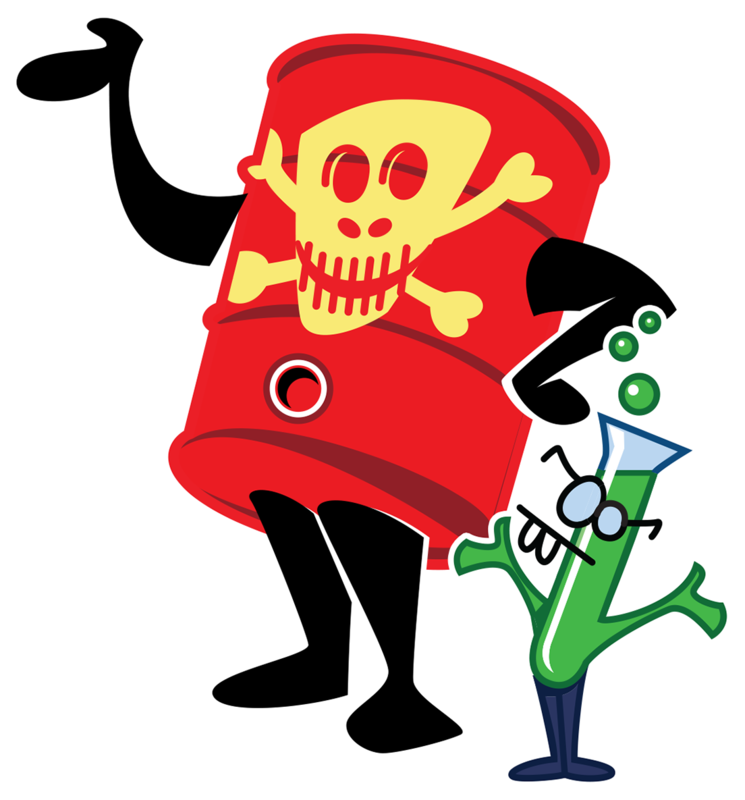 Since then Corchem Man and his pal, Dr. Molecular, have starred in numerous Yeeeoww!!! 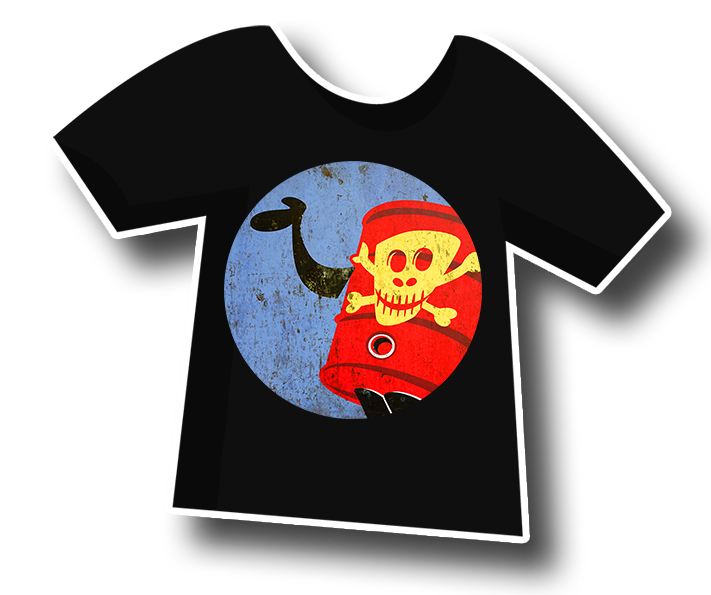 short and feature length films. 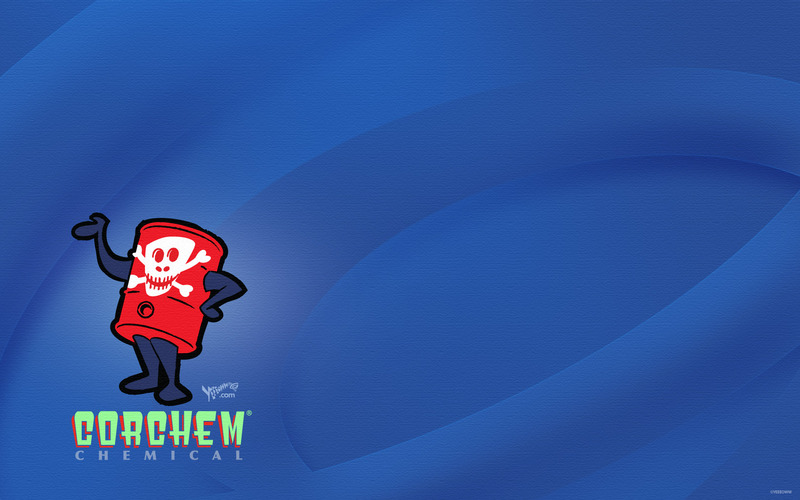 Corchem Chemical is currently owned and operated by Ken's adopted son, Jesus Klackston.